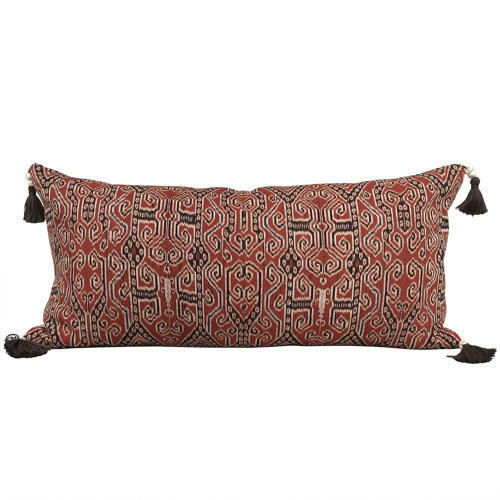 This large cushion is made from a thick vintage cotton ikat from Iban, Borneo. The textile dates to the middle of C20 and was likely to be a ceremonial cloth. The corners are adorned with hand made brown cotlin tassels with vintage Nagaland beads. The back is a thick vintage hemp, there is a zip fastener and feather pad.